After disabling AdBlock on this site (the steps above need to be done only once), I finally got to the much dreaded ADVERTISEMENTS! And, to my dismay, I did find something that might be construed as misleading: the prompt in the little pop-up box in the top left corner that says "Press Allow to continue". It should read "Allow or Deny swiftviz.net to send you notifications". You do not have to click 'Allow' to continue. Only if you want to get notifications from swiftviz. You don't have to click on 'Deny' either. The little pop-up box does have a title that says 'swiftviz.net Notification', therefore 'continue', 'Allow' and 'Deny' all pertain to that. But it's easy to miss and it's like that on purpose for sure. 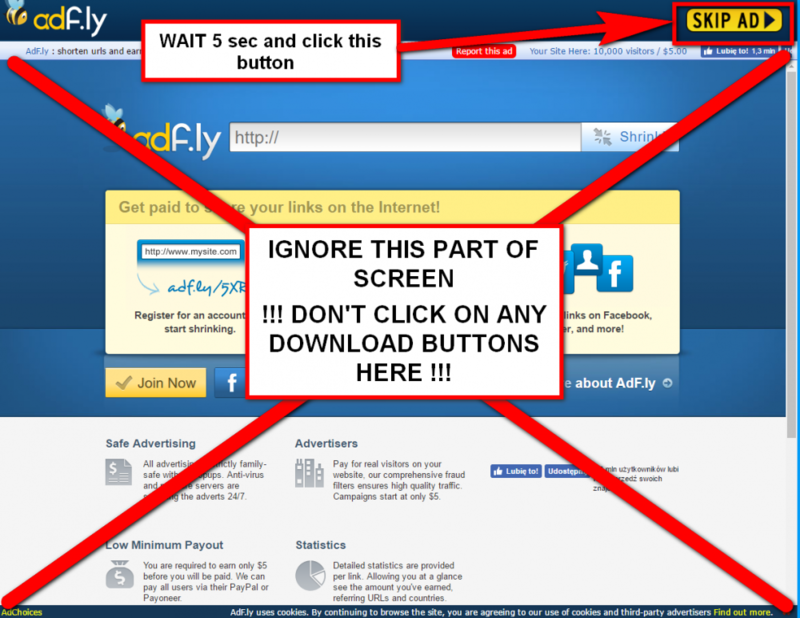 So ignore that box and just wait for the 5 second timer to run down and click on 'SKIP AD' in the top right corner when it pops up. So, this is it. Two webpages with ads. One of them forcing you to stay on it for 5 seconds. Annoying? For sure. But harmful? This way Aslain gets some money for his work. If you loath it, or if you are still worried and absolutely won't put up with it, you can download the modpack direct and support him through Patreon.